Australia are the reigning world champions in ODI cricket and have won 4 out of the last 5 ODI world cups. They have been the dominant team in ODI cricket for the last 20 years, winning nearly every trophy there is to win. Among the top 8 Test playing nations, nearly every team has a good ODI record at home, as each team is familiar with the conditions. However, Australia has a very good record even away from home in ODIs. South Africa is the only country where Australia have lost ODIs more than they have won. In spite of all this, England are clear favourites heading into the 5 match ODI series in England. Overall, in ODIs, England have won just 56 out of the 142 ODIs played between the two teams while Australia have won 81, with 2 being tied and 3 being a no result. In England, where the two teams have played 63 ODIs, the score line is almost even with England winning 29, Australia winning 30, 2 tied and 2 no results. Here are 6 reasons why England is likely to emerge triumphant in the series. David Warner and Steve Smith have both been banned for a year and Australia will definitely be a weaker side in the absence of the two stalwarts. There is no denying that Australia is heavily dependent on Warner to get them off to a flying start. Even though Smith is not as impregnable a batsman in ODIs as he is in Tests, he is always a prolific run scorer. With Glenn Maxwell and Aaron Finch in poor form, the Aussies may struggle to post or chase large totals. In the aftermath of ‘Sandpapergate’, Australia have appointed Tim Paine as their ODI captain. Paine has publicly come out and said all the right things, promising to cut out verbal abuse and stated that henceforth they will respect their opponents. However, he is not an automatic choice in the team and will be under pressure to score runs to justify his selection. 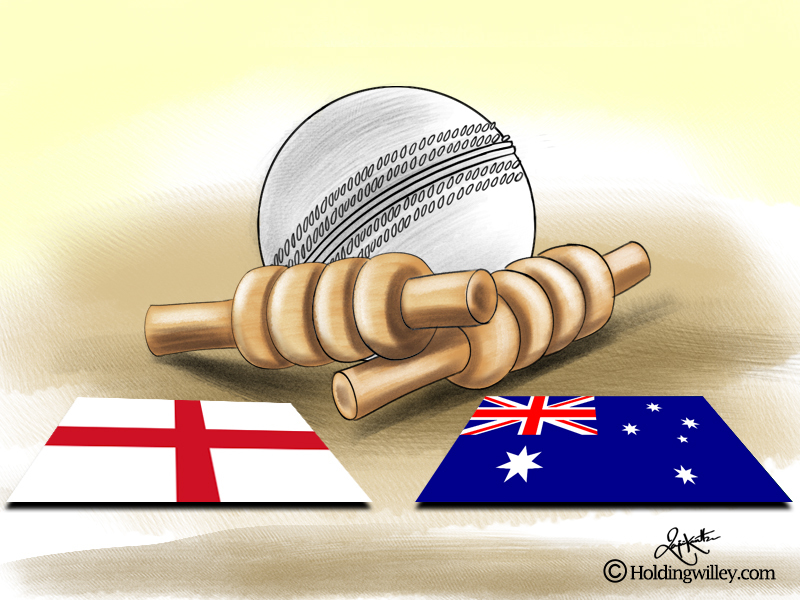 Will Australia be as effective in the field having given up their in-your-face attitude and aggressive, take-no-prisoners approach to the game? The scrutiny of the entire world will be on them to see if their promise of a new changed approach is for real or just idle chat. Therefore, they will have to walk a fine line, neither being ultra-aggressive nor meek and passive in the field. Despite England’s recent travails in Test cricket, they are a formidable side at home in ODIs and have won their last 5 bilateral ODI series at home. Even in the Champions Trophy at home in 2017, they lost in the semi-finals to the eventual winners, Pakistan. Moreover, Australia have a pretty poor recent record away from home in ODIs, as they have lost their last 3 bilateral series to South Africa, New Zealand and India. Recent form suggests that they might struggle to beat the Englishmen. If you compare the two teams man to man, England have a clear edge in the batting department, both in the top order and middle to lower order. Even in the spin department, Moeen Ali and Adil Rashid are clearly better than Nathan Lyon and Ashton Agar. For all his Test success, Lyon is not a certainty in ODIs and will need to pull up his socks to be assured of a permanent spot. The one area where a full strength Australian team would have had a clear edge is in the pace department. But, with Mitchell Starc, Josh Hazlewood and Pat Cummins absent due to injury, Australia look ripe for the picking. Andrew Tye and Billy Stanlake both had a great IPL, but their inexperience at the international level could prove to be costly for Australia. There is no doubting the fact that England have had a new lease of life since their debacle in the 2015 World Cup. Their Win-Loss ratio of 2.27 since then is the best in the world, comfortably ahead of India’s 2.05. England have conventionally been a conservative team in ODIs, but since the 2015 World Cup, they have been playing a refreshing, attacking brand of ODI cricket that is not normally associated with them. Their batsmen go after the bowling right from the word go and they bat deep. In the 63 ODIs, that England have played since the 2015 World Cup, they have posted a score of 300 or more on 27 occasions, which is 11 more than second placed India, who have played just 4 ODIs less. It is still early summer in England and the wickets are likely to have something in them for the pace bowlers, especially those who can swing the ball prodigiously. Australia has always been a little vulnerable to the swinging ball. Fans will recall their collapse against Stuart Broad at Trent Bridge in 2015, even though that was in a Test match. Nothing is certain and anything can happen in cricket, particularly in the shorter formats of the game. Australia may well go on to spring a surprise, but given the conditions and on current form, England are the clear favourites.